I’m beginning to think that Jurassic Park was lightning in a bottle. This weekend, Jurassic World will stomp into theaters like a rampaging T-Rex, the third in a series of heretofore disastrous sequels attempting to recapture the magic of Spielberg’s original dino-masterpiece. But while it comes closer than either of its predecessors to giving me what I wanted in a Jurassic follow-up, it still fell far short of the jaw-dropping wonder of the first film. And after two cringe-worthy sequels and one lukewarm one, I’m starting to wonder if Hollywood should just stop trying. Lots of Jurassic World winds up feeling like a dull shadow of Jurassic Park, like someone studied the original film, making notes of random plot and character points, and then tweaked them for this movie without considering what purpose they served in the original. Oil-and-water child siblings shuttled off to spend time with a detached non-parent relative (dressed, inexplicably, all in white) on a remote island filled with dinosaurs? Check. A rugged, outdoorsy type cautioning the park-runners that they don’t have enough respect for what they’ve created? Check. A starry-eyed park owner with deep pockets, little sense, and fluffy, sugar-coated idealism? Check. A dude intent on stealing the dino-technology for his own nefarious and greedy purposes? Check. A giant, carnivorous dinosaur attacking kids trapped in a vehicle? Check. 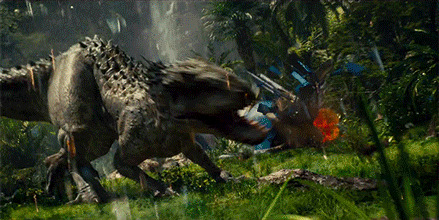 A character running from a T-Rex while holding a flare, an oh-crap moment of we’ve-underestimated-the-dinosaurs’-intelligence, a quiet moment with a long-necked herbivore, scientists failing to consider the implications of splicing dinosaur DNA with not-dinosaur DNA, trapped kids being menaced by raptors, an 11th hour out-of-nowhere dino hero moment — check check check check. And yet, while the Jurassic World filmmakers did not make a bad movie by recycling so much of the original, they really missed the mark on what made it special. Jurassic Park was groundbreaking in its effects, sure, but it was also smart in its storytelling. There were far more forces at work than just Dinos Gone Wild, though that seems to be all the sequels remember. It had the hubris of man, embodied in John Hammond and Dennis Nedry, trying to force the narrative along according to their will. It had the pitting of science versus nature, as a paleontologist, a paleobotanist, and a mathematician (chaotician, chaotician) are forced to come face to face with things that, until now, they’ve only been able to study in the abstract. And underneath it all, chaos. This was the entire point of the Ian Malcolm character — to give voice to the chaos undercutting everything they tried to do. Malcolm was there to point out that no matter how much control humans may think they have, there will always be something they haven’t accounted for, because they can’t. It’s easy to overlook in all the black-leather-Jeff-Goldblum-stuttering-and-swaggering amazingness, but over and over, Malcolm warns the group that the very idea of the park is, in its essence, flawed. And it was this thread — this smart, scientific approach to chaos, to humans being forced to admit they could do nothing but watch as things spiraled out of control, and how each time the humans desperately grasped at a way to pull things back together, something else went wrong, to the point where they ultimately had no choice but to admit defeat and flee the island — that made the first movie so thrilling to watch. In a film that is universally praised for its groundbreaking effects, it’s easy to assume that the spectacle is what made it great — and three times now, sequels have tried to capitalize on bigger spectacle — but without that slow crumbling of control; without the gradual realization of the humans that, no, there is no mastering what’s gone wrong here, there is only, at best, surviving it; without that underlying, razor-edged tension of watching characters struggle for better circumstances while knowing, deep down, that things will only get worse, you’re left only with special effects and screams. Which may be visually cool, but it isn’t interesting. This is Jurassic World‘s main misstep. All throughout, despite the glossy effects and big-budget action, it feels too controlled. Both the park itself, and the structure of the film surrounding it. Even though you have Chris Pratt’s character, Owen, darkly warning Bryce Dallas Howard that they shouldn’t be cooking up their own dinosaurs, it turns out to be a bad idea not because the dinosaur is a dinosaur, and thus unpredictable, but because the dinosaur is smart. And while yes, the raptors in the first film proved to be smarter than the humans thought, it wasn’t their intelligence that made the first film terrifying; it was the idea that the humans have no idea what they’ll do next. All throughout Jurassic World, the dinosaurs are predictable and controllable. Yes, their Frankensteinian creation winds up getting loose and chomping up people and other dinosaurs left and right, but they can see where it’s going, they can shuttle park attendees around to keep them (mostly) out of harm’s way, and throughout the film they never doubt that if they can just subdue that one dinosaur, everything will be fine again. As for the other dinosaurs — the ones whose survival instincts trumped every effort of man to control them in the first movie, and became exaggerated monstrous versions of themselves in the second and third — they remained either docile in their cages, or were let out only to do exactly what humans wanted them to do. Sometimes they get a bit out of line (the scamps), but even then, they were really only a threat to people who didn’t take the effort to truly understand them. If Ian Malcolm had died in the first movie the way he did in the book, Jurassic World would have him rolling over in his grave. Chris Pratt’s Raptor Gang, while a cool action sequence, totally undercut the entire point of the first movie, which was that no matter how much humans might think they’ve mastered nature, they haven’t. Instead of being unwieldy instruments of chaos, the Jurassic World dinosaurs are tools: pets and weapons and rides and blunt objects. The humans are caricatures of the characters in the first film, and as such, it was hard to invest in any of them outside the main quartet, who — though they spent much of the movie’s 2-hour run time cowering and running and screaming — never felt like they were in any real peril. Jurassic World is not without its good points. Unlike the last two sequels, there are no cringe-worthy, eye-rolling moments of pure inanity. There are snippets of humor, mostly courtesy of Chris Pratt, who can’t help but have great comedic timing even with a mostly wooden script. There are some amazing effects, and as far as shot-for-shot beauty goes, this is probably the most visually stunning of the bunch. There are some sweet moments between the two kid brothers, and Bryce Dallas Howard’s Claire goes from being stiff and distant to genuinely root-worthy. And though the movie’s spectacular, dino-violence-filled climax is not necessarily shocking, it is still pretty darn fun to watch. But while the original Jurassic Park felt like intelligent, taut, truly frightening science fiction, Jurassic World is simply a summer popcorn flick, with dinosaurs. It won’t make you think, it won’t scare you, it probably won’t even get your pulse up, aside from a few jump scares. It won’t give you any great one-liners to quote over and over for the next two decades, or any characters who will stick with you like friends. But it will entertain, and make you smile, and give you ample amounts of gorgeous CGI and thrilling action sequences. And maybe, if the original is lightning in a bottle, that’s the most we can ask of a sequel. Here’s my Drive Through Movie Review of Jurassic World that we filmed right after seeing the movie, in which I couldn’t quite pull all my thoughts into coherent words yet, but I did try to imagine what a Goldblum-T-Rex hybrid might look like. This entry was posted in Film, Review, Science Fiction and tagged film, film review, jurassic park, jurassic world, movie, movie review. Bookmark the permalink. Thought I’d try and compose some thoughts here instead of a series of tweets, ha ha. 1. It was a good summertime movie. I was never bored and I enjoyed myself. Also, I’m always happy when a popcorn flick of any kind does better than any of the Transformers movies so there’s that. 2. Jake Johnson almost stole the show for me in terms of humorous moments. That scene where he defends buying the Jurassic Park t-shirt? Hilarious. 3. Thank God the kids weren’t annoying. I actually thought their story arc was one of the more interesting pieces of the film. Even when the older bro was being annoying, I thought, “Well, typical movie teen” and when he gradually improved, it was nice to see how he made his little bro feel like a hero. 4. When Bryce Dallas Howard said that even celebrities come to endorse the park, the first thing I thought was, “JEFF GOLDBLUM.” Now *that* would have been meta. 5. 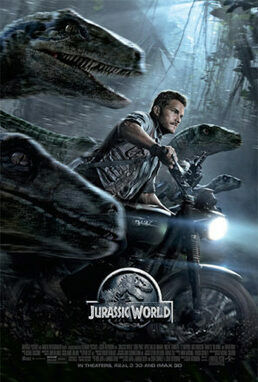 Chris Pratt and the raptors thing is still pretty dumb but I don’t mind it as much now that I’ve seen the whole movie. In the trailers, it was cringeworthy but at least in the movie, it seems “plausible” that Pratt could have established some kind of “relationship” with them. Still undermines JP though, as you noted. 6. My favorite part of the whole movie was when the kids found the original JP lobby with the sign and the merchandise and the collapsed dinosaur bone display. That gave me all kinds of chills. And made me want to watch JP. 7. The soundtrack was good. I’m a sucker for that kind of thing and thought Michael Can’t-Spell-His-Last-Name did a good job with Williams’ score. 8. Overall, in spite of all the things I just mentioned, JW wasn’t JP. Not even close. And while I enjoyed myself (see point 1), I couldn’t help but want the original cast back (even though that would make NO SENSE at all). 9. Having seen Chris Pratt in Guardians and JW, I am now 100% comfortable with him being Indiana Jones should that rumored reboot ever take place. But, Harrison Ford is still king, make no mistake. 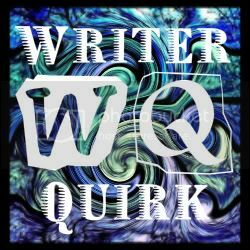 Share book reviews and ratings with Lauren, and even join a book club on Goodreads. 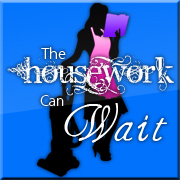 The Housework Can Wait copyright 2012.